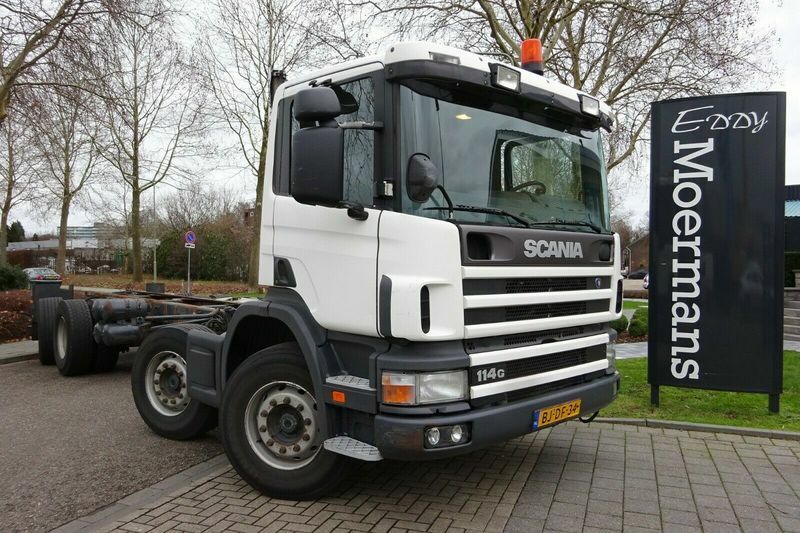 Used cab chassis truck Scania P 114G 340 8x2*6 Fahrgestell for sale by Eddy Moermans Handelsonderneming b.v. The current price is 11500 Euro. Check the technical data of the unit, picked out from the catalog of SCANIA P cab chassis truck. Engine details/gearing and fuel type: Euro 2, diesel, 340 hp, gearbox: manual, retarder/intarder. Wheel formula and suspension type: number of axles: 4, ABS, EBS. Body dimensions and options: loading length: 6700 mm. The mileage is 560800 km.